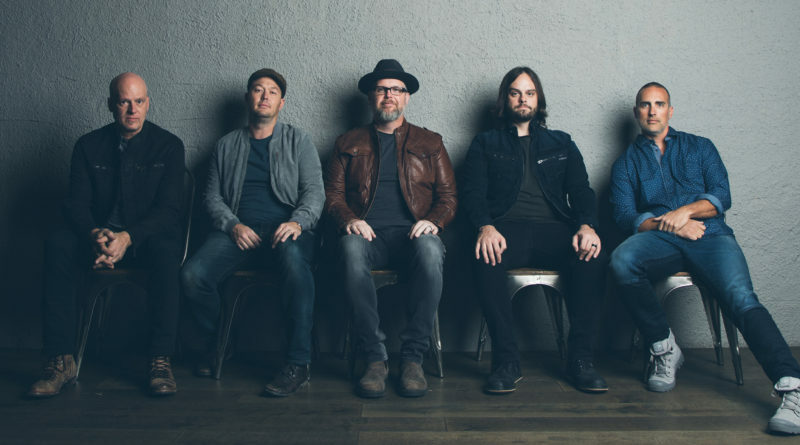 Though prestigious industry awards and accolades from fans and critics alike have been plentiful for MercyMe across the years, vocalist Bart Millard, drummer Robby Shaffer, bassist Nathan Cochran, and guitarists Mike Scheuchzer and Barry Graul are far from settling into rocking chair mode. Twenty-three years after forming to begin what would be a slow, steady march into the upper echelon of Christian music, the five-piece from Greenville, Texas have reached a point in their collective careers where can shifting into neutral and coasting home is an honorable option. Lord knows (pun intended) they’ve earned it. But that’s not Mercy Me. 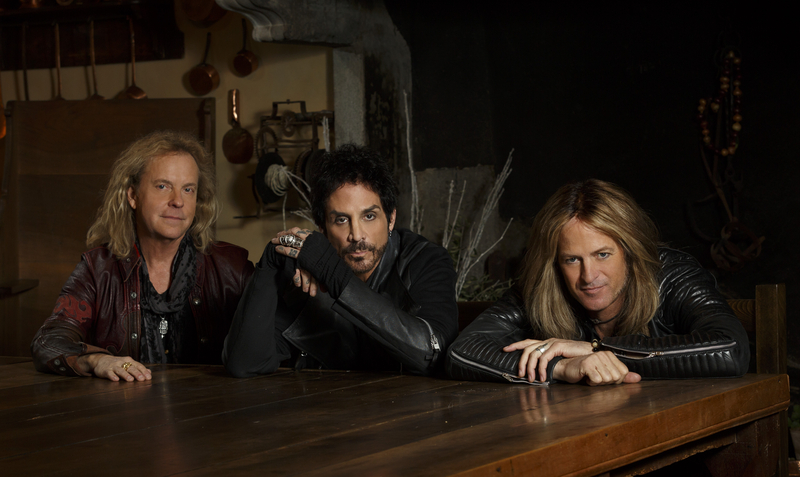 While the days of rugged touring to spread their brand of contemporary rock music to all who would listen may have lessened in deference to family, friends and home, their passion for sharing their craft has not. There’s still too much left to say, and still too many more people left to say it to. That impact may lead to the band’s trophy mantle needing an expansion soon. The band will travel to New York City’s famed Madison Square Garden to attend the Grammy Awards Ceremony on Jan. 28 after having been nominated for Best Contemporary Christian Music Performance/Song (“Even If”) and Best Contemporary Christian Album (“Lifer”). The nominations come on the heels of the release of the chart-topping album, “Lifer,” earlier this year, and the hit single, “Even If,” which rode a 19-week streak on the charts in the No. 1 slot. The band also took home three GMA Dove Awards, including Artist of the Year, and are now on the verge of the release of a much-anticipated new movie, “I Can Only Imagine,” a true story based on the hit song of the same name that Millard wrote after the loss of his father to cancer. The film opens in theaters on March 16. In February, the band heads out on the “MercyMe Live” Tour, which will unite the band with Tenth Avenue North alongside Tim Timmons for a three-month stretch in 20 markets, including a stop at Wells Fargo Arena in Des Moines on April 12. 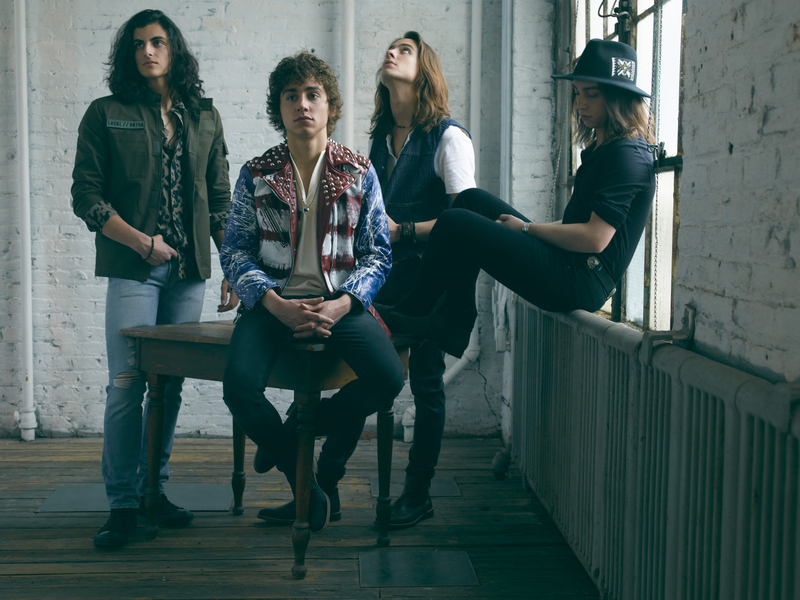 In the midst of all the activity, ListenIowa caught up with Scheuchzer during a quintessential rock star activity — taking his son to visit the orthodontist. You’re headed back on the road in February with Tim Timmons and Tenth Avenue North. Does it feel good to get things revved up again? How much of a comfort zone does that give you guys to be able to go on the road with people you know and trust? Oh, it takes the first two weeks totally out of play. Usually the first two weeks you’re getting to know people. For us, we don’t really tour for long stretches anymore, so we can be at home more and be with our families, so all of our touring is more limited, which is great. We may not make it to your city as often, but when we do, we certainly are excited to be back. It’s changed everything. Going out on the road with people you know, the first two weeks, it’s just fun and laughing and great camaraderie. 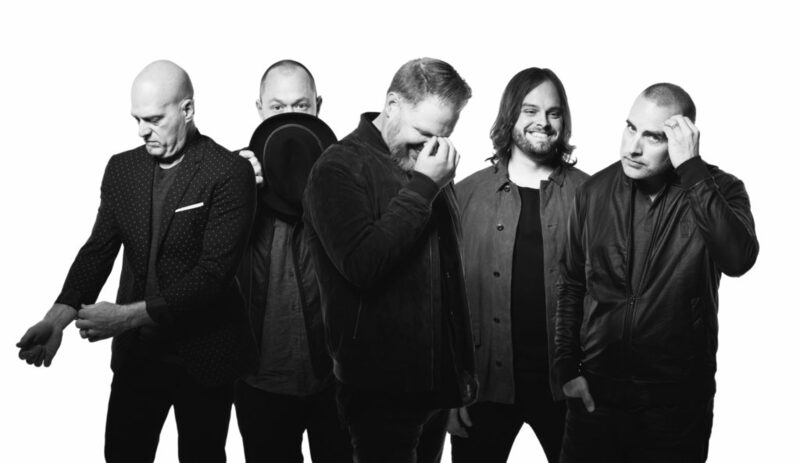 MercyMe has been together for almost 24 years now. How do you keep the fire burning knowing that you’re going to be away from your family and home for long stretches at a time? We still love making music. It’s not hard about getting fired up about making music. The way you guys (media), and the fans and radio have embraced our last two records, that’s a huge shot in the arm for an artist (to continue). You mentioned hearing stories from your fans. How active are you on social media and interacting them via that mode? I’m a lot better about it when we’re on tour. When I’m home, I unplug from that a little bit. Every now and then I’ll get on and check to see if there are some messages from bands and see what’s going on. Social media is a great way to get instant feedback from your fans. If it’s silent, you know something is wrong. Are you a believer in leaving some things off the table, though, and not letting fans know about every little thing you’re doing? I think there was a season when we were over-posting for sure. Our culture in general is too entertained and distracted. I know I am. As a band, we’ve tried to leave a little bit of room and not let people know what we’re doing all the time. Then when you go away, people get a little curious as to what’s going on. 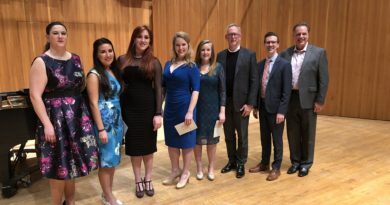 The Grammy Awards Ceremony is coming up, and the band had been nominated for Best Contemporary Christian Music Performance/Song (“Even If”) and Best Contemporary Christian Album (“Lifer”) awards. How much stock do you take in awards ceremonies? Do you look at them as an actual barometer as to where you stand in Christian contemporary music overall? Yeah, the saying always is that “just being nominated is great,” and, you know, it really is. To me, being nominated is saying that what we’re doing is connecting with people. It’s not saying that our song is better than others; it’s just saying that it’s connected with people in a way that has meant something. There’s a lot of politics and whatever, and I don’t really care about that. But it is cool to be nominated. It’s not a competitive thing for us. Sure, it would be a massive honor to have one of those trophies in my home one day. (laughs) But if it never happens, just the fact that we’re still getting to do what we love, and God is using it in some way, is great. The awards, I think, are just a little way of saying that that’s happening. And speaking of the national spotlight, your song, “I Can Only Imagine,” has taken on a life of it’s own, as it will soon be released as a major motion picture. As someone who was a part of the story as a fellow band member and friend, is this song something special for you, too? Yeah, the song was written in 1999, and I had known Bart since 1992, so I had heard stories of his dad, how he was abusive, and then diagnosed with cancer when Bart was a freshman in high school. The diagnosis impacted his dad’s life so much that he fell to his knees, turned his life around and fell in love with Jesus. He literally went from a total monster to turning into Bart’s best friend and the guy Bart wanted to be some day. I know the story like the back of own hand. What’s amazing is when we would hear how the song had impacted people in ways that had nothing to do with what the song was about. It impacted so many people in so many ways, and it was cool to see how God can take things and use them for His glory, and not only for His glory, but in the way that He sees fit. It doesn’t have to be the way I intended it to be; it’s the way He wants it to be. It’s an incredible thing to recognize who is in control. And now it’s a major motion picture. That’s got to be quite an honor. It is. I mean, Dennis Quaid is in it! (laughs) When we watched the first rough cut of it, I went into it thinking I was going to be distracted by what I might see as inaccuracies. I mean, I was there for all the band stuff. I know how it happened. No movie gets it 100 percent right. And while there were some chronological differences and changes in some things, like how the band came together, they absolutely nailed the emotion of it. So much so, that I was completely drawn in by what was happening on the screen. It gets me in a different way each time. I’ll find myself tearing up over something different each time. I don’t know if it’s because of my personal experiences with the band or what. But I think it’s just really a good movie. We’ll see what others think. Hopefully they won’t hate it and will think it’s as good as we do.